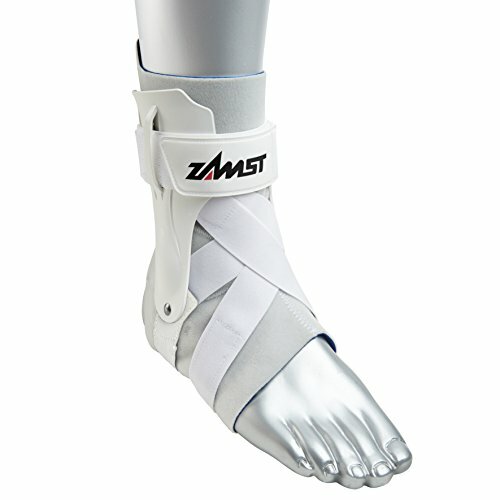 Achilles Tendon Support Brace is designed to stabilize and support the Achilles tendon, relieve pain, and reduce swelling. 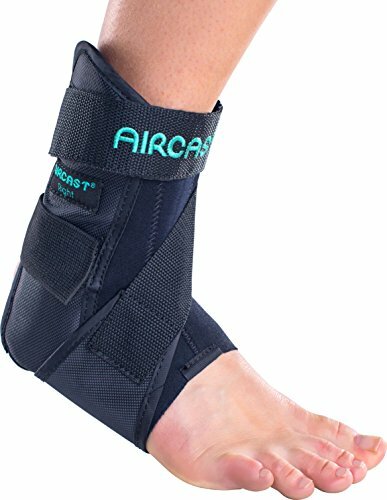 The brace can be used after surgery, for acute and chronic Achilles tendon conditions, to relieve pain and inflammation associated with tendonitis, Haglund’s deformity, heel bursitis, and for other conditions causing pain, discomfort, and weakness in the back of the foot. The brace is made of durable, lightweight, breathable, moisture-wicking elastic fabric for increased comfort, thermoregulation, and moisture control. The flexible knit fabric anatomically conforms to the body, providing additional support and stability. The construction of the fabric helps to distribute forces and pressure evenly, thus preventing fluid build up and relieving pain and discomfort. 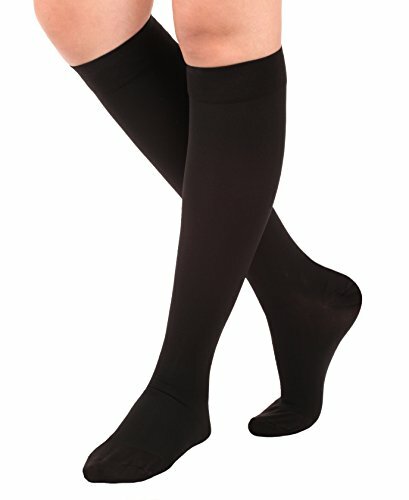 Gentle compression exerted by the fabric improves blood circulation, and reduces inflammation for faster recovery without restricting movement or slipping down. Contoured cushioning inserts along the Achilles tendon and under the heel reduce pressure on the tendon and make wearing the brace even more comfortable throughout the day. 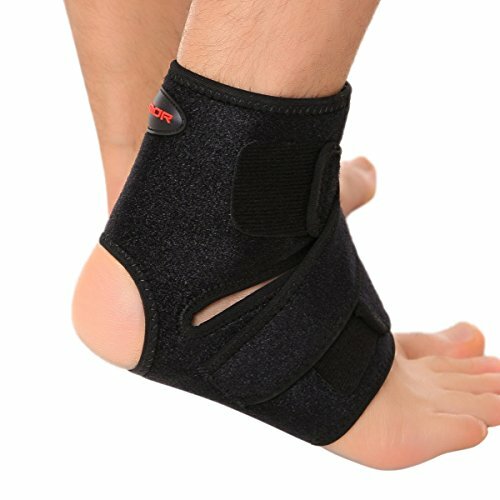 Due to its innovative features, the Achilles Tendon Support Brace offers instant pain relief and comfort and allows to continue being active while treating the injury. 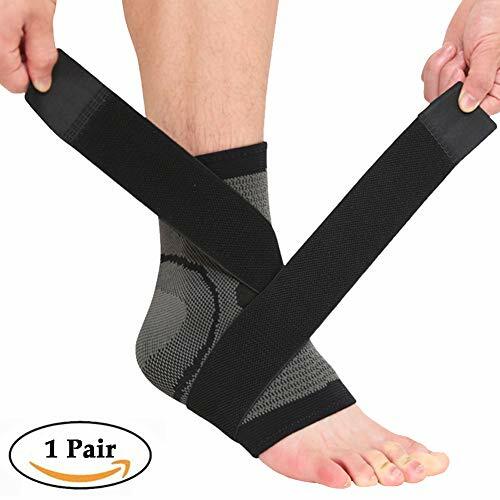 ANKLE SUPPORT FOR A VARIETY OF CONDITIONS: Achilles tendonitis, recovery after injury or surgery, Haglund’s deformity, heel bursitis, other conditions causing pain, swelling and inflammation of the Achilles tendon and back of the heel. 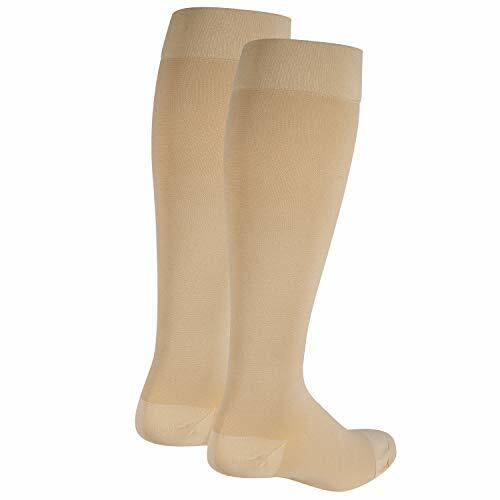 COMFORT AND FREEDOM OF MOVEMENT: Durable, lightweight, breathable, flexible, moisture-wicking knit fabric that keeps the foot cool, dry and comfortable during physical activity, and doesn’t restrict movement. TARGETED RELIEF: Soft contoured cushioning pads along the Achilles tendon and under the foot. 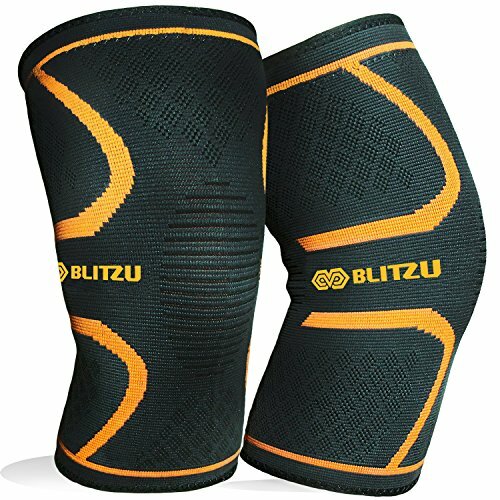 INNOVATIVE FEATURES FOR MAXIMIZED EFFECT: The construction of the fabric evenly distributes pressure and impact, offers gentle compression, providing additional support and a massage effect that prevents fluid build up, thus relieving inflammation, swelling and pain. Contoured inserts reduce the pressure on the tendon. 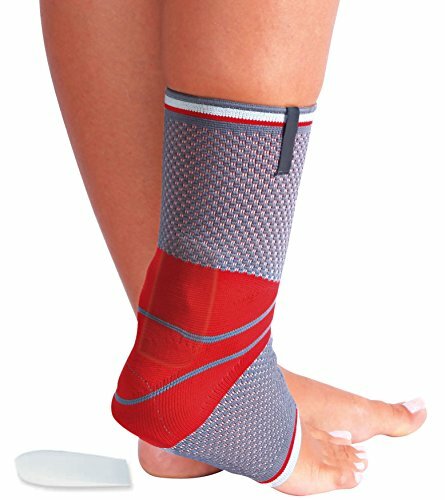 INSTANT RELIEF AND COMFORT: The Achilles Tendon Support Brace offers instant pain relief and comfort, supporting the foot in a comfortable yet stable position, and allowing to continue being active while treating the injury.